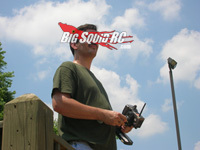 ASK Cub Reporter, 12.05.2014, Version- You Ask The Questions, I Dish The Highly Speculative Answers « Big Squid RC – RC Car and Truck News, Reviews, Videos, and More! Cubby- Yo to the yo Jason, I just want to let you know you were ohhh sooo close to being letter of the month. You came in second, hope you weren’t holding your breathe for a t-shirt, but you do get a free sticker pack. Is the Spektrum AVC (Active Vehicle Control) system legal for racing? Yes and No! Gotta love answers that completely conflict each other. Yes! AVC is completely legal at local tracks that proclaim it to be legal. Hopefully local track directors are smart enough to realize that AVC isn’t gonna cut 5 seconds a lap off anyones time, but it can make a vehicle easier to drive in slick conditions. But… knowing the racing crowd the way I do- 1. they are typically idiots, and 2. they are more resistant to change than a Baptist church congregation. So… finding a local track that doesn’t care if you run AVC or not will probably be next to impossible. No! No sanctioning body that I’ve heard of has made electronic stability control legal. The drift guys are against it (even though their cars are freak’n impossible to drive without it), the drag guys are against it (even though it would make zero freakn difference in cars that only go straight), and the off-roaders are against it (because they would rather spend countless hours working on their tracks to make their trucks easier to drive instead of just popping in AVC). But me being Cubby, I think the more important question is “Should AVC be legal for racing?”. On one hand- our tiny cars are ridiculously hard to drive, especially in the wayyyy overpowered brushless age, on the other- it should all be up to the driver no matter how hard their car is to drive. Of course I am very pro electronic stability control, our small over-powered cars are frustrating to drive as they are now, with some stability control they are simply more fun. If I was running a track, stability control would absolutely be legal, heck I might kick drivers that showed up without it just to help get the ball rolling. “I have an Animus for my 9 year old daughter and she likes it. We upgraded it with most of the aluminum parts and a losi mini insane motor. We looked at this truck at our local Hobbytown and it seems better than the Animus because the esc and steering servo are seperate, and it seems a touch bigger. Would you consider the SC4.18 an upgrade from the Animus? Cubby- Yo Jeff, you didn’t finish second, you have won the highly coveted and sought after “Letter of the Month” award as proclaimed by me. Shoot Brian your shirt size and your snail mail so we can hook ya up. So… what’s better (I love these questions) a Helion Animus or a Dromida SC4.18? Ok, I could totally make up some crap answer, but I’ll make an exception here and give ya the real scoop. Yes, we’ve tested both, but we haven’t tested them back to back. Without doing so it is incredibly hard to say which one is the best. Both vehicles are similar in the way they are both 18th scale 4wd brushed SCTs, but they both differ on their high and low points. Without a true shootout, I simply can not hook you up with a real answer. However… I can say that we’ve had a bunch of fun with both, and they both are decent bash machines. Peace and love, and enjoy your new BigSquidRC t-shirt. Well that’s all there is for this edition of ASK Cubby. Submit your questions, rants, or obvious trolling to Cubby at BigSquidRC.com. Make the front page and get a free sticker pack, have your letter proclaimed as “Letter of the Month!” and get a free t-shirt.